(DrEddyClinic News) Although used for centuries by Native Americans, pine needle tea is not well known by the general public today. But it's certainly worth becoming acquainted with this unconventional brew if you would like to increase mental clarity, defeat infectious disease and knock out cancer. Interestingly, pine needles sport several times more vitamin C than fresh orange juice and were used by the early settlers of North America to avoid scurvy -- a disease associated with vitamin C deficiency. Due to their high concentration of antioxidants, pine needles are also recognized as a potent immunity booster by researchers. Moreover, Rural Survival adds that pine is a good source of vitamin A and helps improve mental clarity, whereas Doug Wallace notes in the article "Another Cancer Killer? 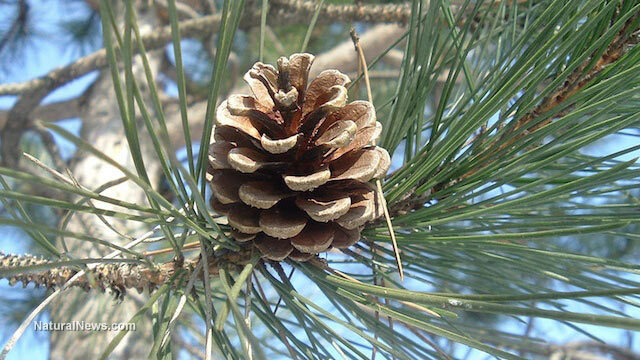 Pine Needles" that the plant addresses sclerosis, allergies, kidney stones, hypertension, obesity, depression and tumors. In fact, research published in Nutrition and Cancer http://www.ncbi.nlm.nih.gov/pubmed/17474862 discovered that pine needles exhibit "strong antioxidant, antimutagenic, and antiproliferative effects on cancer cells and also antitumor effects in vivo and point to their potential usefulness in cancer prevention." And this study http://www.ncbi.nlm.nih.gov/pmc/articles/PMC3180677/ found that pine needles are an exceptional source of proanthocyanidin, a compound that demonstrates strong antioxidant characteristics. The first -- and most important -- step in brewing a health-enhancing pine needle tea is to identify a safe species. White pine is widely considered the best choice. Next, harvest a handful of young needles http://www.dreddyclinic.com/forum/viewtopic.php?f=19&t=31522 with a bright green color. Make sure to only source from trees that haven't been sprayed and are situated well away from roadways. Strip the brown papery sheath from the ends and roughly chop. Place in a heat-proof container and pour boiling water over the needles. Cover and let steep for 10 minutes. Strain, sweeten to taste and drink immediately. For further information about the wonders of pine, Eat The Weeds offers a compelling and educational video here http://youtu.be/HA39XQ8UAr4. A final word of caution: Women who are pregnant, or plan to become pregnant, should NOT ingest pine needle tea due to the risk of abortion.